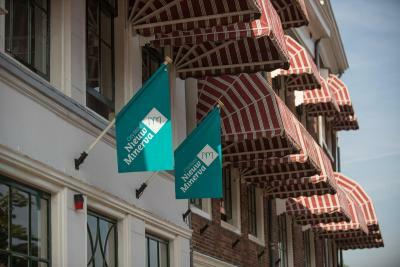 Lock in a great price for City Hotel Nieuw Minerva Leiden – rated 8.1 by recent guests! this hotel is the good location, In hotel room no the pot but you can ask reception staff for borrow. Location was great to get around town & short walk to train station. The front desk staff was very kind. Beautiful view of canal. Do ask for room at front since this is the view of canal. Location is absolutely great in the middle of town. Also, the staff is really friendly and do their best to give you a great experience. Neat old buildings with a lot of character. Good breakfast at reasonable price. Great location. Staff were friendly and helpful. Good range of reference leaflets. Bike storage excellent. The building(s) has a history of its own--houses built during the glorious age of trade and imperial expansion and refurbished as a hotel in modern times. 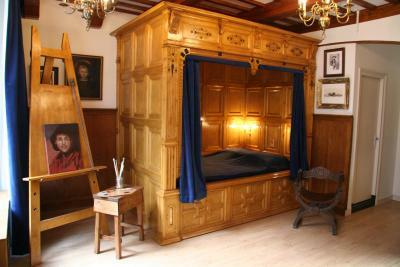 The hotel is a short and pleasant walk from Leiden Centraal and the major museums in town. I requested a room overlooking the Rhine and did not regret the choice--I had a nice view of the bridges, canals, and shops that surround the hotel. The only minor complaint was the noise, which I have to say is still bearable, given the hotel's proximity to the Wednesday and Saturday makeshift markets and to the two main shopping streets of lovely Leiden. 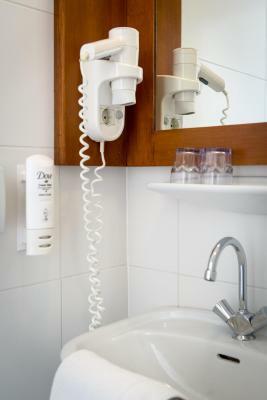 A 10-15 minute walk from the train station, Staff was helpful and friendly, Room was great and clean with large bath. Location, Location, Location. Room spacious and comfortable, bath very clean and up to date. Within walking distance to train station. Morning breakfast nothing fancy but more than adequate. 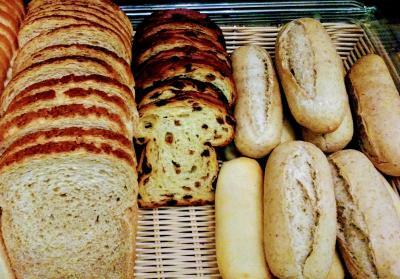 Eggs, meats and cheese, rolls, jelly, and the best sliced bread I have every eaten. Not their problem but mine, was two flights of stairs (no elevator). The building is very quaint Dutch. 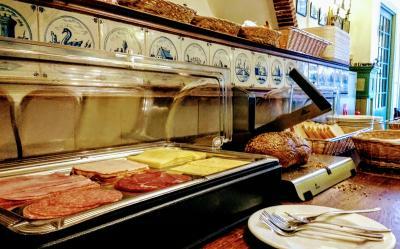 Nice atmosphere, nice breakfast, helpful and friendly staff. 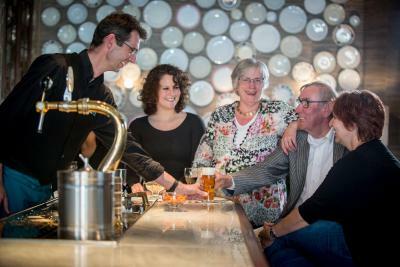 City Hotel Nieuw Minerva Leiden This rating is a reflection of how the property compares to the industry standard when it comes to price, facilities and services available. It's based on a self-evaluation by the property. Use this rating to help choose your stay! City Hotel Nieuw Minerva Leiden is located in the heart of Leiden's historic center, between the two most important shopping streets. 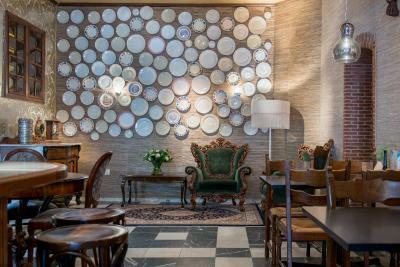 You will find plenty of restaurants and cafés around the hotel for a drink or bite during your stay. 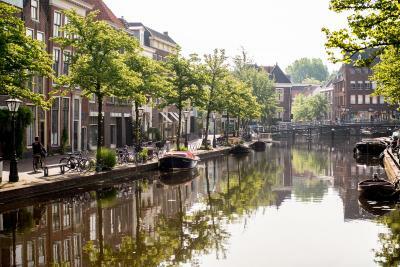 The hotel is located along one of Leiden's many canals and is easily accessible by boat. 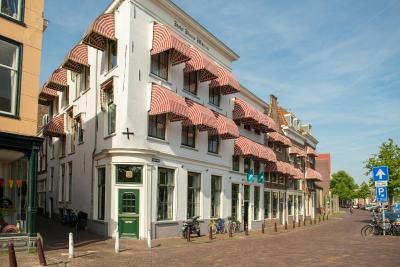 The hotel covers 6 authentic 16th century canal houses. In 1830, one of these houses was inhabited by J.R. Thorbecke, the father of the Dutch constitution. 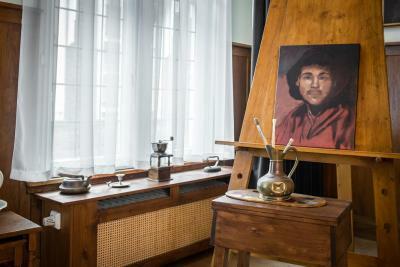 The hotels rooms are decorated in various styles,from romantic to classic and to the famous Rembrandt Room. 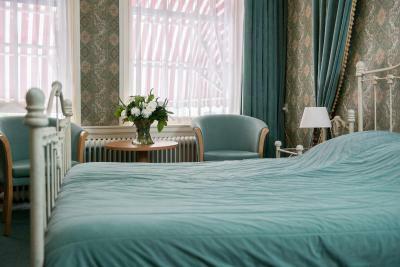 A beautiful bridal suite is available as well. The rooms on the front side offer a great view to the canal. 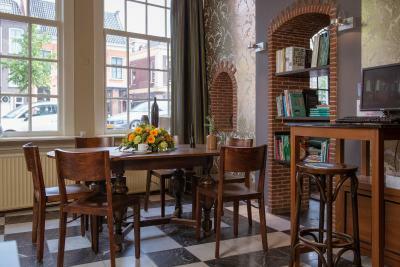 City Hotel Nieuw Minerva Leiden is decorated in a friendly, Old Dutch style with a homely atmosphere. It offers a good restaurant and meeting and banquet facilities. 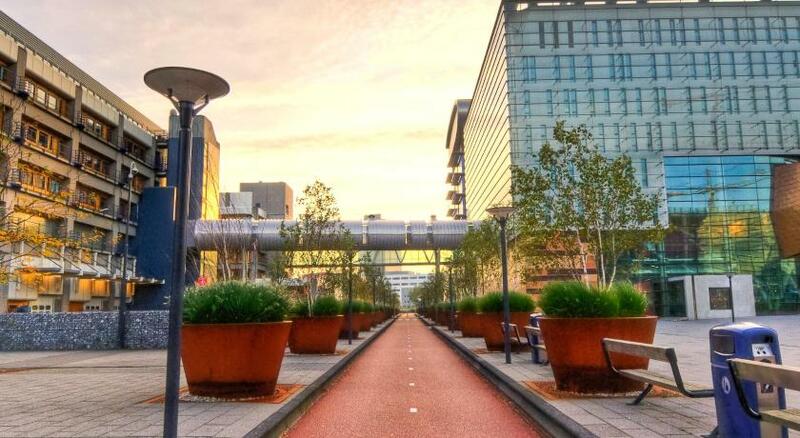 The surrounding area is popular for cycling, and bike hire is available at City Hotel Nieuw Minerva Leiden. 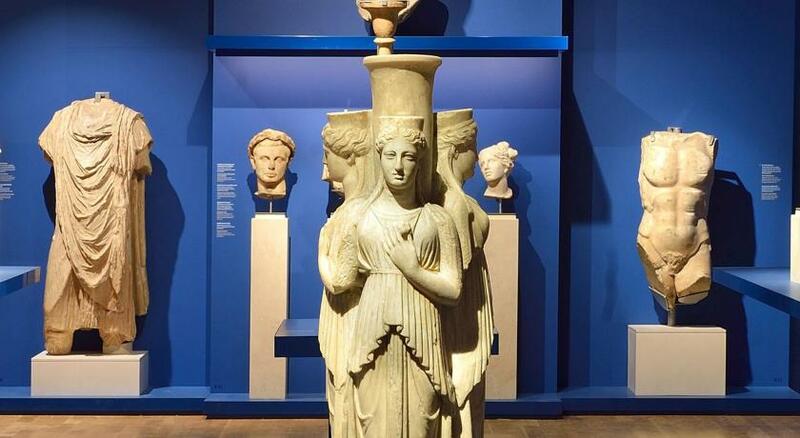 Popular points of interest near the accommodations include Leiden University, Rijksmuseum voor Volkenkunde and National Naturehistorical Museum. The nearest airport is Rotterdam The Hague Airport, 14 mi from the property. 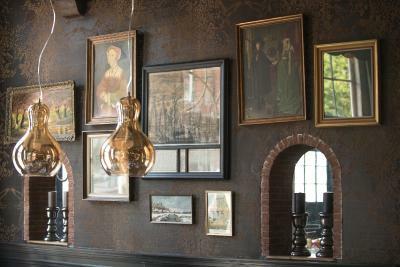 This is our guests' favorite part of Leiden, according to independent reviews. 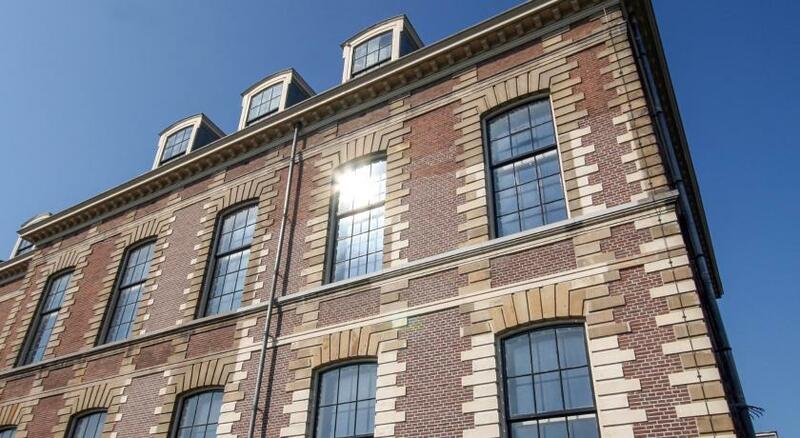 This property also has one of the top-rated locations in Leiden! Guests are happier about it compared to other properties in the area. 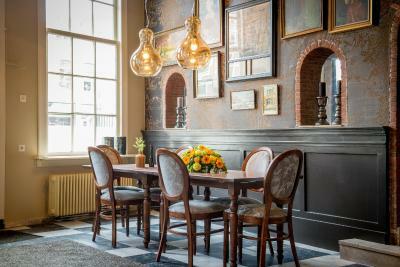 When would you like to stay at City Hotel Nieuw Minerva Leiden? 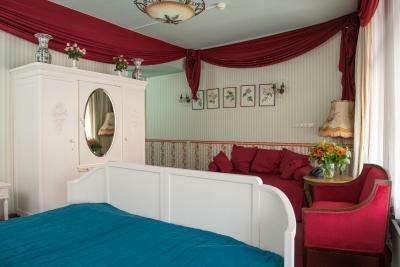 Individually decorated room with a TV and private bathroom with a bathtub or a shower. 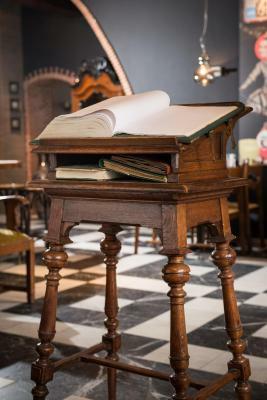 House Rules City Hotel Nieuw Minerva Leiden takes special requests – add in the next step! ATM card Debit card City Hotel Nieuw Minerva Leiden accepts these cards and reserves the right to temporarily hold an amount prior to arrival. City Hotel Nieuw Minerva Leiden accepts these cards and reserves the right to temporarily hold an amount prior to arrival. 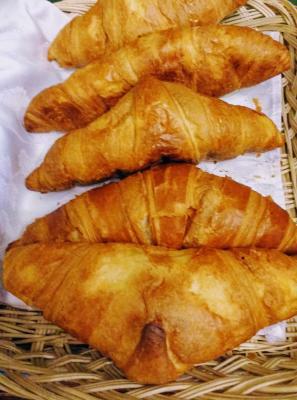 Please note that breakfast is served from 07:00 until 10:00, from Mondays until Saturdays. 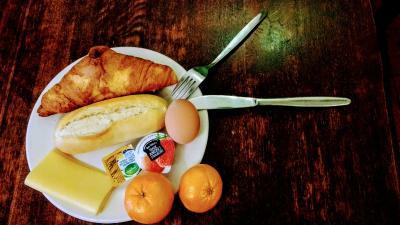 On Sundays, breakfast is served from 08:00 until 11:00. Parking is most convenient at Haagweg Parkeerterrein, Haagweg 4 in Leiden, This parking site is located 2,950 feet from the City Hotel Nieuw Minerva and offers a free shuttle service to and from our hotel. Reduced parking tickets are available at our Front Desk. Considering we booked for 6 nights, if at all possible a larger room would have been great. I would also suggest to them to do something about the bed. It was comfortable, however needed to climb in and out. Could not even sit on the edge of it. No parking at site however it is a short distance away with a shuttle. The room was very small and a bit uncomfortable. Overall the hotel is ok. It is in a good position. The reception staff were very helpful especially the person who greeted me on arrival. Decor in my room was non-existent. It was like an old college dormitory room that hadn’t yet been moved in to. Staff was very cordial and accommodating. There was no lift, but I was to blame for causing a situation because I didn’t ask before booking whether or not there was a lift. Reception offered me a ground floor room. Very nice gesture, but it was a bit bleak and located right next to a restaurant whose customers used the bathrooms right outside my room. That was a downside, but the upside is that they came up with a solution for me not being able to climb their steep stairs. That surely counts for a gold star. Rooms are very tiny and old, more than we expected. 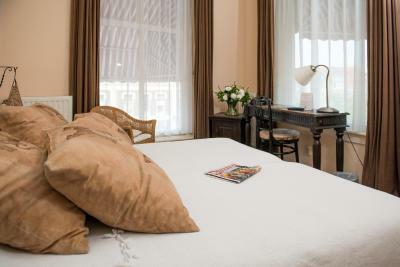 Location of the hotel is perfect, 5 minss to the university and 10 to the central station. Loved the view from the room. Numerous things. Only one hanger in wardrobe of double room. No tea/coffee making facilities, no mini-bar. Old, tea colored carpet tiles. Noisy. Room dated and tired but not in a good way. Shower head finish was peeling off, leaving sharp edges. Thin, pancake duvet. Very disappointing - it looks so lovely but it isn’t. I have noted comments of others, and certainly wasnt wanting or expecting a corporate hotel. But I was expecting quirky and comfortable, which it wasn’t. Good location, efficient and friendly staff. 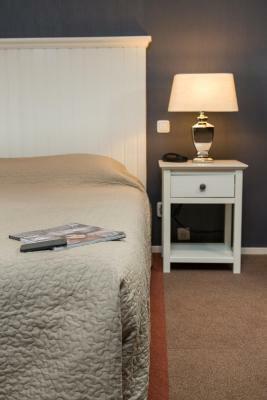 Well ubicated cosy hotel in downtown we had a wonderful room for our first stay in 2019. The location was perfect - close to the trainstation, very close to the university and in the real center. The staff was really nice and friendly (special thanks to Daniela Bozadzhieva). They helped us with everything we needed. 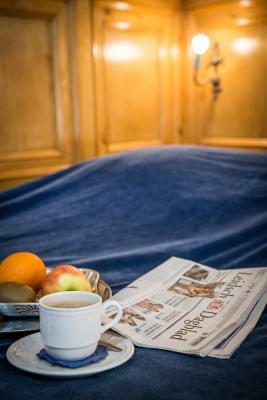 The breakfast was deliciouse, and the beds were comfortable. 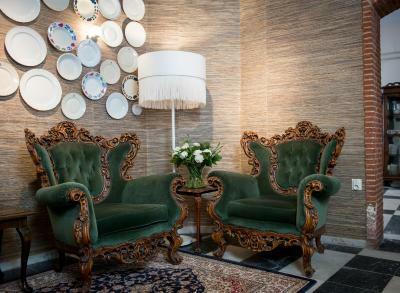 In short, we recomand this hotell to everyone! The staircase was steep and no lift. 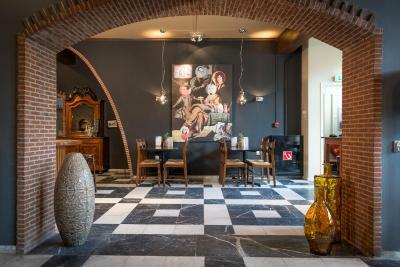 Quirky hotel in a great location in the middle of Leiden. Lots of bars and restaurants within 5 minutes walk as well as the wonderful canals. Parking at a reduced daily rate was available within 7 minutes walk or by shuttle.